Cadillac is ready to start competing with the German luxury giants. As a kid, I marveled at the Cadillac owned by my parents' friend. You could roll down the windows with the push of a button! My father would comment that it was just another thing that would break. A few years later, you couldn't roll down two of the windows on that car. For a while that was what car buyers could expect from the American luxury brand: features that failed after a few years. Flash forward to now and all those bells and whistles that caught my attention as a child are now standard on most cars. 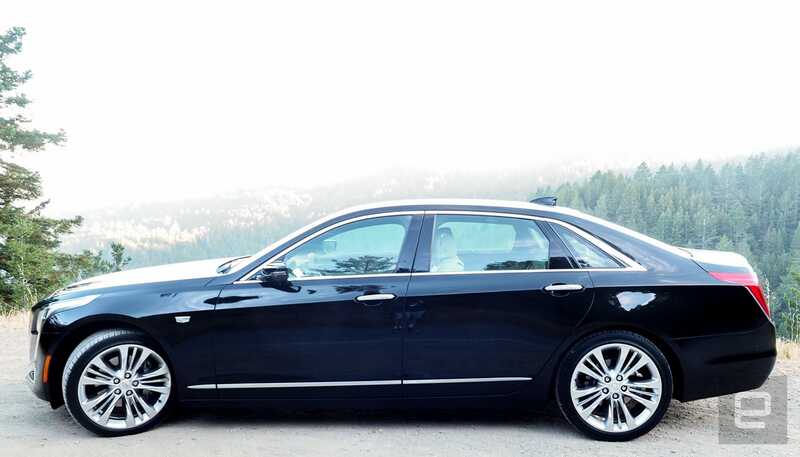 So now Cadillac has to up both its game and build quality, and with the 2016 CT6, it succeeds. Before we get to the drivetrain and the technology that surrounds you in driver seat, let's talk about the design of the car. It looks something out of the art deco-inspired Batman: The Animated Series, and that's a good thing. From the driver's seat, the outermost peaks on the hood resemble knives slicing through wind. It's a striking, angular style that doesn't take away from the car's luxury heritage, which is usually rooted in a more subtle design. On more than a few occasions, friends remarked that it seemed like I was either transporting a VIP or was living a bit larger than I should. My new baller lifestyle continued inside the car. As you would expect, Cadillac went all out when it comes to interior technology. There's a bevy of buttons controlling a new generation of bells and whistles -- most of which more geared toward safety than impressing the neighbors. Like luxury vehicles from BMW, Mercedes and Audi, the CT6 has lane assist and adaptive cruise control. The system kept me from veering off my path while rolling down the freeway without being overly aggressive. Cruise control was equally valuable during long drives. To test its adaptive properties, I set the speed to a completely illegal 121 mph (don't try this at home). The CT6 kept a safe distance from all the vehicles it encountered (they were usually doing about 65 to 70 mph). When I switched lanes, it gradually sped up to match the pace of the car it was overtaking. It did this without slamming on the accelerator. The infotainment system (Cadillac calls it Cue) felt just as refined. The 10.2-inch touchscreen in the dash was easy to read, and I never had problems with glare, even with the sunroof open. 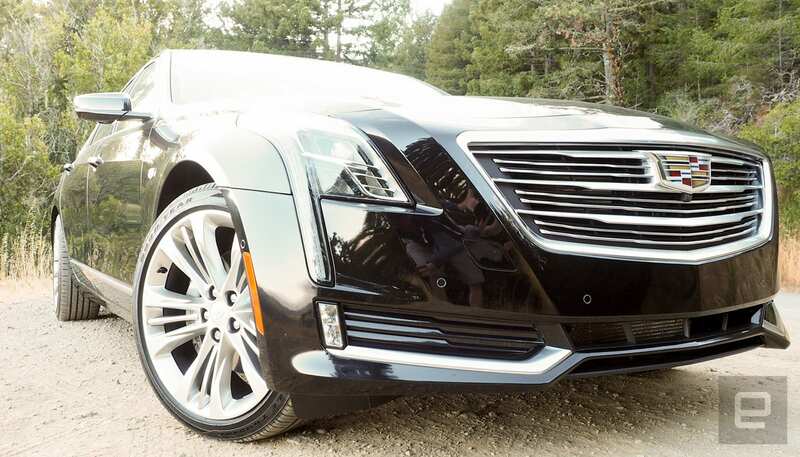 In addition to the usual navigation, phone, climate, audio controls and Android Auto and Apple's CarPlay support, the Caddy uses its exterior cameras to record when there's motion outside the vehicle. So now if it's vandalized or broken into, you have evidence you can share with the authorities. Although the center display is close enough that you don't have to stretch to reach it, Cue can also be controlled by a center console touchpad with haptic feedback. The one issue with the touchpad is that it doesn't work with Apple's CarPlay. 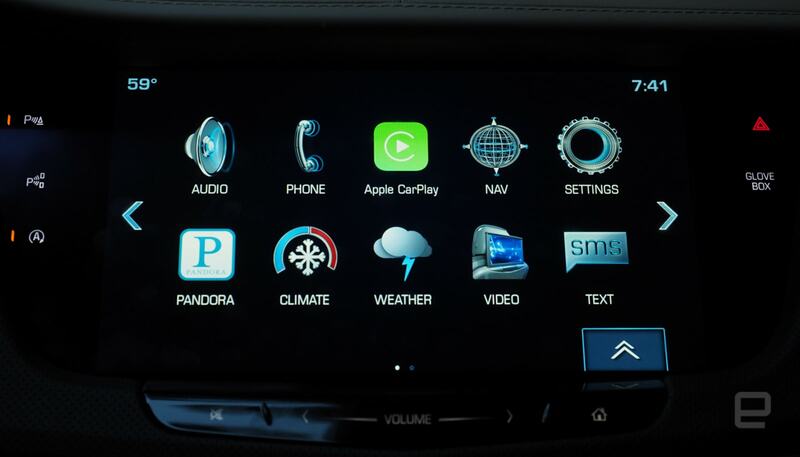 For passengers, CarPlay and Android Auto are of little concern. The Cue's infotainment amenities for riders are impressive. The backseat displays not only support DVD playback but also media on USB sticks, and there's an HDMI port. The CT6 supports 4G LTE and creates its own WiFi network. So you could plug in Chromecast, Roku, even an Apple TV (there's an AC outlet in the rear center console) into the HDMI port and start streaming. There's also a plethora of USB plugs to keep all your devices charged. Finally there's my favorite feature: the rearview camera display that's in the mirror. We briefly tried it out on the Chevy Bolt (another GM vehicles) this past January driving around a parking lot. It gives a wider field of view that isn't blocked by rear passengers. It nearly eliminates blind spots, and after training my brain to understand that the cars in the in the display are smaller than they would be in the mirror, I found it invaluable. I can't wait until this is on all passenger cars. Once I was comfortable with all the luxury trappings of the CT6, it was time to take the twin turbo V6 out on the open road, and for the most part, the car doesn't disappoint. While hitting the twisties on Mount Tamalpais in Marin County, I was immediately impressed with how well it handled. It stuck to the switchbacks almost as well as a mid-sized sport coupe. What did hurt the experience was the combination turbo lag (the delay between punching the gear and the turbo spinning up and delivering power to the wheels) and the eight-speed transmission trying to catch up with that burst of power. Accelerating out of corners was met with an annoying jerk as the car tried to get back into sync. Switching to manual mode and using the paddle shifters solved the issue, but even when driving around town, if you hit the accelerator too hard, the car lurched enough for the passengers to notice. This could just be an issue with the $88,000 CT6 Platinum AWD version of the car we tested. It's huge twin-turbo 404-horsepower V6 engine might just be too much for the transmission to handle. There's a lot of power on the hood. We haven't had a chance to get behind the wheel of the more subtle and cheaper models (starting at $53,495) that have lowly 2.0 liter and 3.6 liter engines. But if you happen to need a luxury sedan that sounds like it's storing a bear in the trunk every time you step on the gas and you can tame the turbo lag / transmission issue, the Platinum version is fun to drive. Whichever flavor of CT6 engine you pick, the features inside this Cadillac deliver on the promise of a tech-based luxury sedan the automaker has been making for decades. 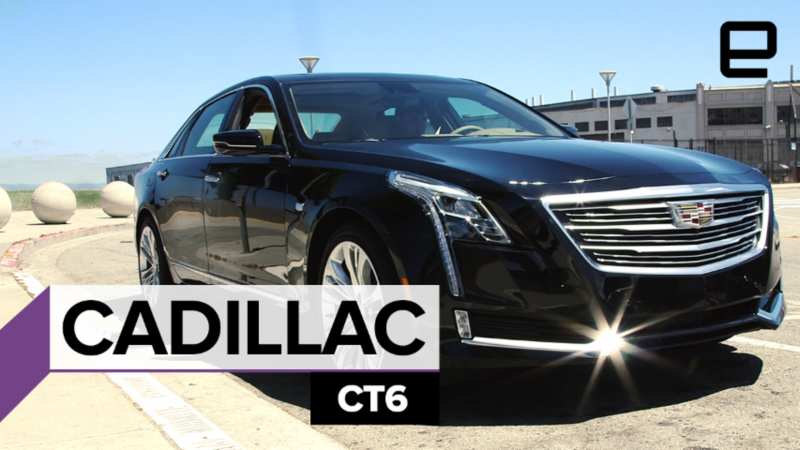 The CT6 is the automaker's flagship, and for some, it could be the American car that pulls drivers away from the high-end vehicle world dominated by German companies.